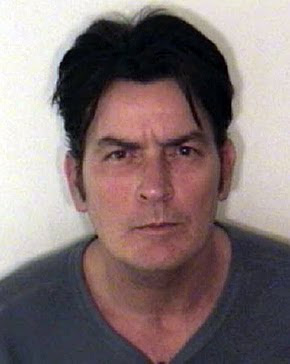 I still wanna see an Elin Nordgren - Charlie Sheen cage match! Maybe Hanes and Calloway Golf Clubs could sponsor the event? BTW, your "old" bit about women winning the right to vote is still one of my all-time favorite comic routines. It's a hall-o'-famer! They need to dispense with any ads where the father/husband is shown as a moron compared to his wife and/or kids. This has been done to death for the last decade. If you believe the ad community, it's a wonder we, as men, can even function as adults. Please! I do love that beer closet commercial. It's one of the few that has made me laugh in a long time. Thanks Trevor. I just shot a new comedy Special that will air later this year and I did that Female Vote bit. And now it is officially "old!" And Tom-- YOU are correct. I was going to mention that father/husband bumbling around pulling down the new shades type of commercial-- but I hear Brian Regan (the comedian) does a very funny take on it. I have not heard it-- but Brian is always funny. plotting...that's one of those weird words that when repeated loses all meaning. okay,it's not that he is bumbling, he's just that big room of 1960s Computer Banks, while I'm a...Cyborg? and I do not think this of all men, I love Men as a Species. They can be quite useful! Drug Companies like "our good friends @ CVS Pharmacies"
no more commercials that discuss Vaginas & what they may or may not be doing. Are you there? Pick up! "THAT's gonna leave a mark!" Add that to the list of lines that should forever be stricken from use. It was funny for about 5 minutes (maybe), years ago but it's way old now and they just won't let it die. I think I reached my peak of disgust with it when it was used in one of the last round of Star Wars movies. Really?